Whether you're going for elegant or dramatic, lighting is one of the easiest ways to take your space from boring to breathtaking. Your Wedding In Fantastic Fashion! Any color you can think of, and name name, logo, or monogram projected on a wall, ceiling, or dance floor! Our new system will add extra life to your dance floor! 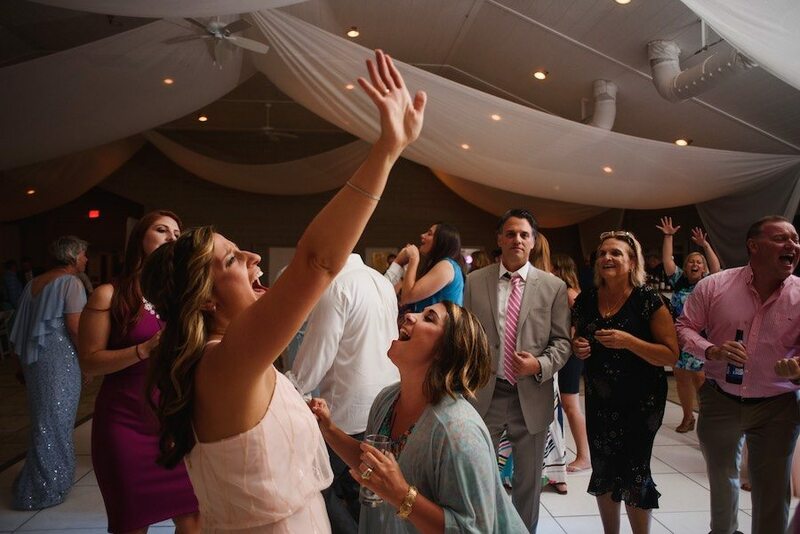 Make your wedding day on the Outer Banks personal in fantastic fashion! Your wedding party will leave your guests speechless. You can have your monogram or names projected on a wall, ceiling, or dance floor! Each logo is a custom made, laser cut steel plate for a perfect decoration that is not to be forgotten! 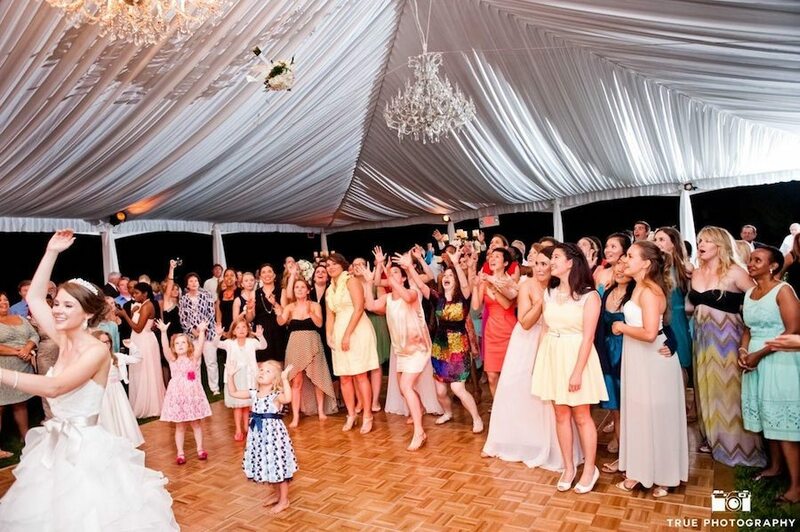 We offer a wide variety of decorative up-lighting, dance floor lighting, as well as spotlighting for that first dance. The perfect color lighting will enhance your flowers and color arrangements as well as provide a soft glow, perfectly enhancing your event. Each lighting package is customized to meet your needs and taste. 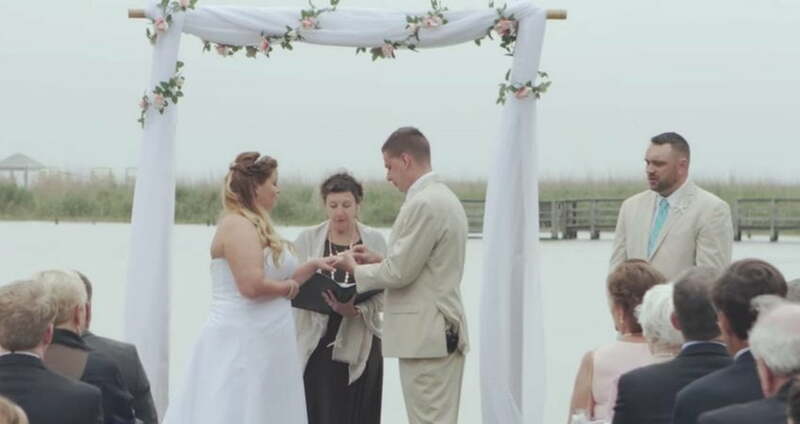 If you can imagine it, Coastal DJ & Video can make it happen. Our new 4 Bar Lighting System will add color and dimension to your wedding reception. If you desire added effect, we also offer larger lighting systems such as intelligent lights & truss systems. We’re excited to be part of your big day, and we’ll make sure you get the best lighting ever! Fill the room in your unique color! We offer both elegant décor uplighting, and custom dance floor lighting. Wedding lighting can bring out the best of the colors of your room along with your flowers, and YOU! Each lighting package is customized to meet your needs and taste for your event. Call now for your custom quote on uplighting. Personalize your wedding décor by having your names projected on the wall, ceiling, or dance floor. Custom gobos are available and we can create a custom design just for you. Call now for your quote on monogrammed projection, which includes the cost to make your special design! Ensure you are the center of attention and all eyes are on you during your first dance with bright spotlighting. Utilizing highly specialized lights we will make sure that not only your first dance photos are amazing, but that no one will ever forget the moment! Call now for the best prices on spotlighting! Our lighting was spectacular. It was like George and the team took our wedding to another world. Thank you!! !